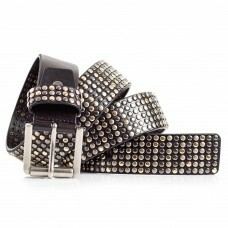 All black skinny leather belt with diamond studs.Material: 100% Full grain calf leather. 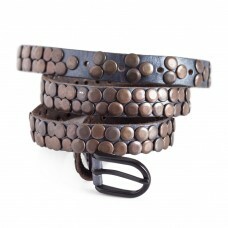 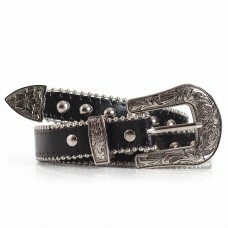 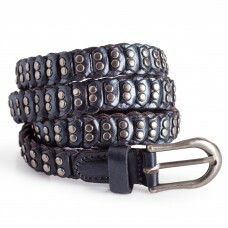 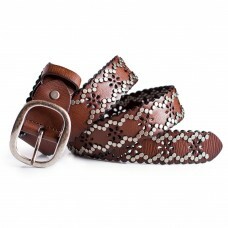 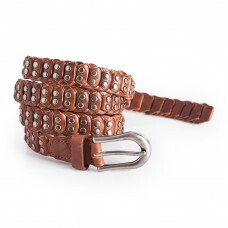 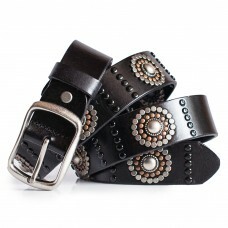 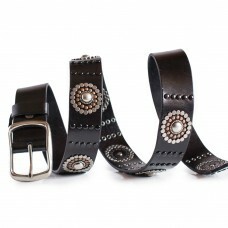 Black singl..
Womens Western belt with studs.Features carved buckle and tail and stitched metal lining. 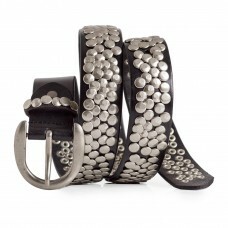 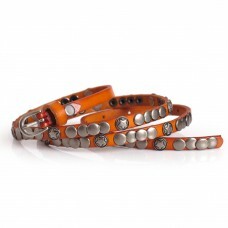 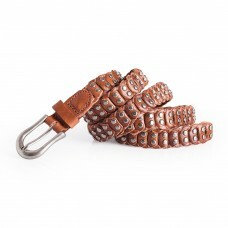 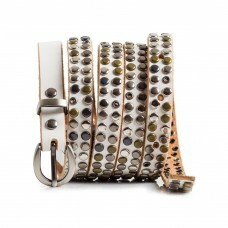 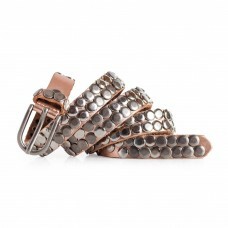 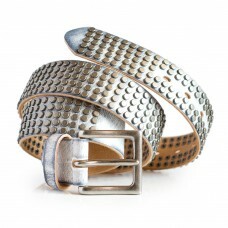 Skinny wid..
White leather jeans belt with round studs. 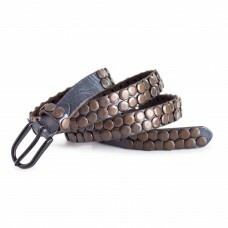 Rock star belt design with 5 rows of studs.Material: 100%..
Womens skinny blue metallic leather belt with bronze color studs.Material: 100% Full grain calf leat..
Womens skinny gold leather belt with polished silver studs.Material: 100% Full grain calf leather. 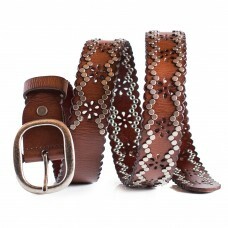 S..
Womens vintage brown leather belt.Cute and stylish ladies belt with carved edge and metal studs.Mate..